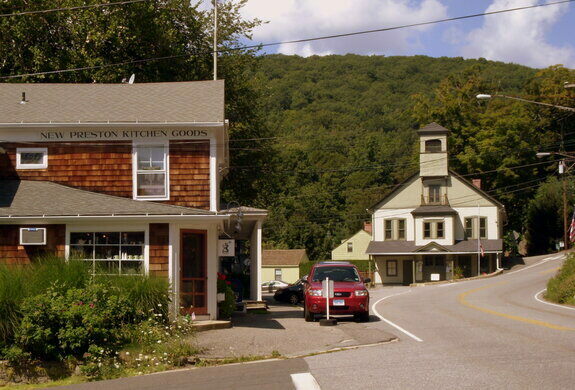 New Preston and Kent, Connecticut - where Friday the 13th, Part 2 was filmed. Released in 1981, just a year after its predecessor, Friday the 13th, Part 2 takes place five years after the events of the original. Like the first movie, Part 2 still involves the systematic and gory deaths of a bunch of teenage camp counselors. This time, however, the film features a grown-up Jason as the killer, although without his iconic hockey mask which doesn’t become a part of his costume until the third movie. Home of Philip Johnson, one of the 20th century's most influential architects. Saint Edmund's severed arm travels to Connecticut. The first movie was filmed in New Jersey, but this time the movie makers filmed in western Connecticut in the neighboring towns of New Preston and Kent. The few buildings that make up downtown New Preston show up near the beginning of the movie. It is here that the characters meet Crazy Ralph and are pranked by a tow truck. The town hasn’t changed much in the past 30 years. A couple of the buildings have been re-painted or changed businesses, and the prominent Exxon station is gone, but it’s still instantly recognizable to those who are looking to do such. Elsewhere in New Preston was the casino where some of the counselors hung out at one point. The casino was the Lake Waramaug Casino, located on West Shore Road, but it burned down a year or two after the filming. These days, a house occupies the spot. These Benedictine nuns have been making artisanal cheeses since before it was cool. A famed data visualizer's personal sculpture garden is a landscape of modern and megalithic wonders. An abandoned asylum once on the cutting edge of lobotomies may be reborn as a Christian college. 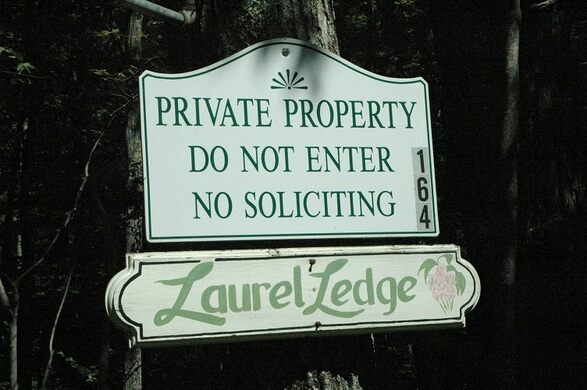 This isolated community does not want you to visit. Monty Python fans will recognize this abandoned mine as the Cave of the Killer Rabbit of Caerbannog. A strange rock with a sinister reputation lurks within the crimson waters of this Scottish glen. Remembering the Alamo with a full-scale replica of the 1836 city.